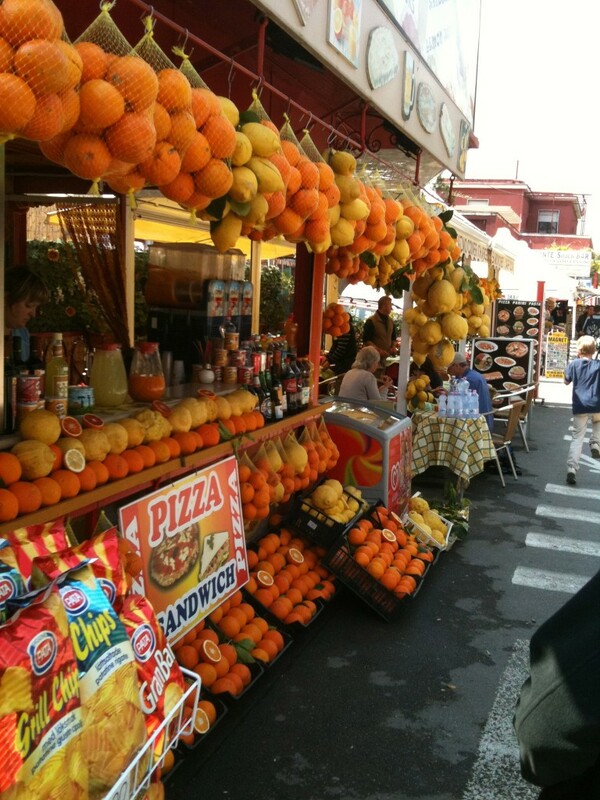 Sorrento has orange and lemon trees all over the place. The street trees have fruit on them. Every garden is full of them. It even has trees that grow both oranges and lemons. After several weeks in tiny towns, Sorrento seems very busy. But that could also be because of the combination of narrow streets and Southern Italian drivers whizzing about at death-defying speeds. The main town of Sorrento is built at the top of steep cliffs. The prime cliff-side positions are taken by hotels which also own little beaches or platforms down below accessible via steep stairs hanging off or cut into the cliffs. There’s one main cutting that allows public access down to the marina and ferry wharf and walking down it really gives a sense of how high the cliffs are. We walked down to the marina on our first day and had a pleasant lunch by the water. It was lovely sitting in the sun with a beer while the kids explored. There were even some people swimming near us although I can’t say I was tempted yet. I can’t say I’ve fallen in love with Sorrento – it’s a bit too crowded, a bit too busy, and bit too unfriendly. 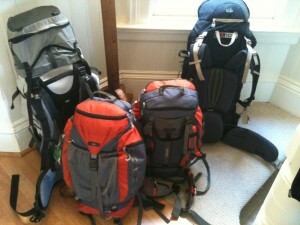 It is, however, a great place to get to Pompei, Vesuvius and Herculaneum from. Jennifer, Don, Jean, Bob and Declan all visited Herculaneum today and had a good time. Declan came back enthusing about carbonised rope. Callum had started vomiting during the night so he and I stayed home and dealt with a horde of workmen doing annoying things to the house we’re in. Anyway, apart from the sheer volume of oranges and lemons you see in Sorrento the other noticeable thing is the size of the lemons. They produce these things that appear to be mutant lemons the size of a melon. We were going to try them out but our friend Google tells us they are in fact citrons not lemons and there’s more rind than juice in there. No matter, the local lemons and oranges of normal size produce absolutely divine juice which we have been sampling in copious amounts.